Turagabeci, who is the son of former Labasa defender Sefenaia Naqama is currently in the country to attend trials with the national Under-23 team. The Tailevu native said he is looking forward to represent Fiji at the Rio Olympic Games in August. 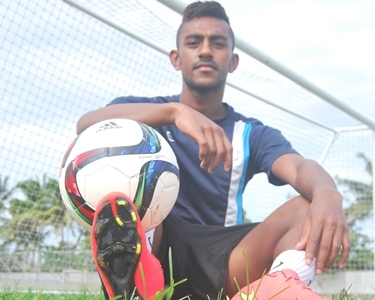 “I represented the Fiji U17 team 2011 but I missed the U20 World Cup qualifying after sustaining an injury and I’m looking forward to play for the U23s. I have committed myself to Fiji Football and will do my best to be selected in the final squad for Rio,” he said. National coach Frank Farina has named a 30- member squad for the U23 and national men’s team which will march into camp next Monday.